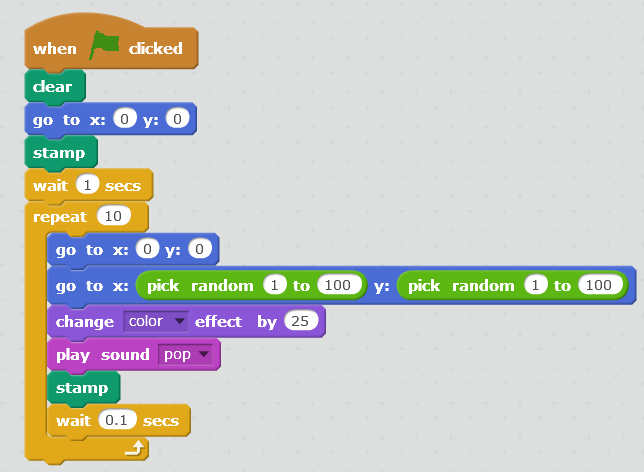 For unplugged tasks that offer a “math surprise” related to the suggested Scratch activities below, check out Making Ten. 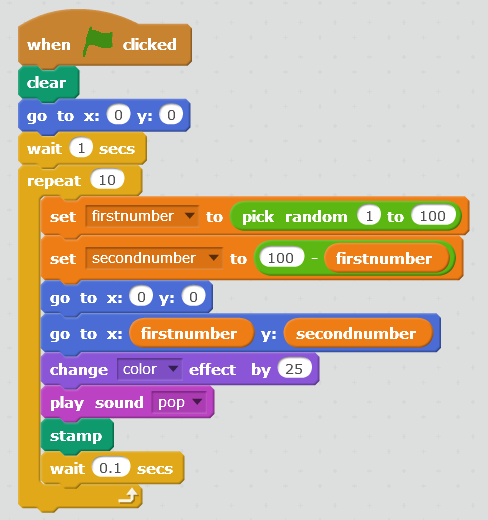 Often, we can provide students with code in Scratch for math class that they can remix. 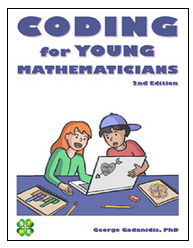 In this way, the emphasis is not on the programming itself, but on the math ideas that are being discovered. Have students click on this link. Here, they can run a program that will plot random pairs, as the diagrams depicts below. They can Remix the program and edit the code as they please. Challenge students to do the following…. 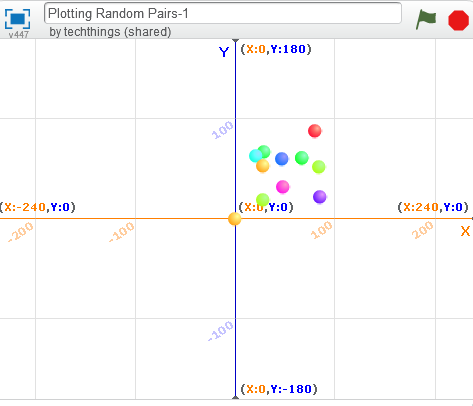 Can you spread the plotted points out? 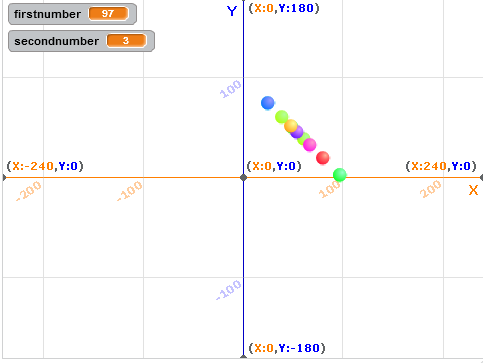 Can you add more plotted points? Can you move all of the plotted points to another quadrant? What is a relationship in nature that might look like this? 1 – How is it that random points can result in a pattern? 2 – Describe the relationship. What type of correlation is this? Can you think of an example of when you might this type of relationship in nature? 3 – Can you adjust the points so that they show a positive correlation?